The Perelman Center is the final element in the redevelopment of the World Trade Center site in Lower Manhattan. 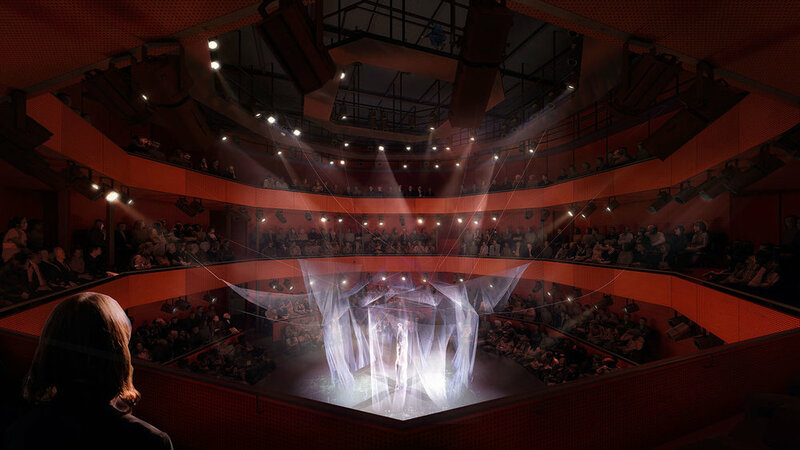 The facility will embody the notion of "world trade" by assembling artists and ensembles from around the world to produce new works of theatre, dance, opera, music, and cinema. Perched above subway and commuter rail tracks, the performance spaces will be structurally isolated from the surrounding buildings on dozens of rubber pads, offering a rare opportunity for silence in the city. On this canvas of silence, artists will present their work in four theatres that may be combined together in a myriad of configurations ranging from 99- to 1200-seat capacities.